When to use the definite article "the" and when not to use it can cause problems to many Students of English. 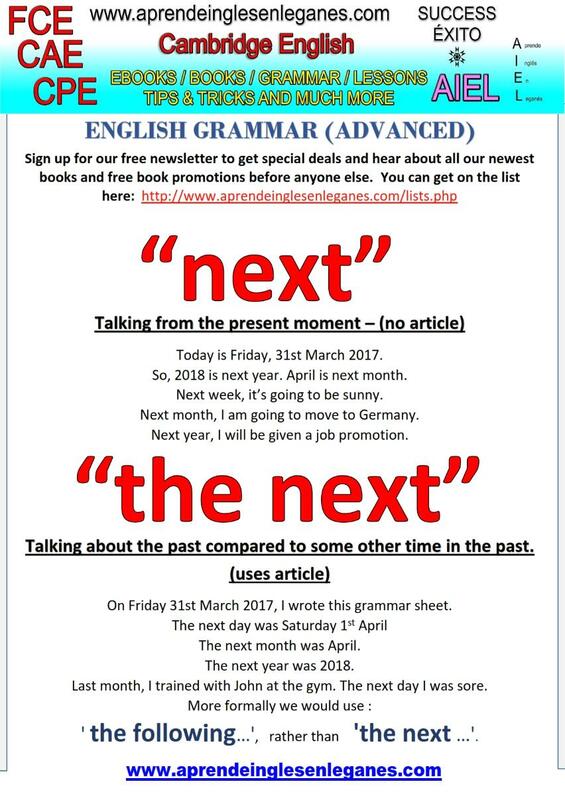 For example , When should we say "Next" and when should we say "The next" ? The grammar sheet below will give you the answers you were looking for.